I probably need to expand my poetry horizons a bit, but I can’t get enough of Billy Collins. The best-selling, award-winning, former US Poet Laureate really gets under my skin, in a good way. Christened “the most popular poet in America” in The New York Times way back in 1999, Collins continues to live up to that praise after more than three decades in the poetry business. His latest collection, entitled Aimless Love, doesn’t let up one bit. A compilation of selected works from his four most recent books along with more than fifty new poems, the book is packed with poetry. While it’s unreasonable to expect that each of the more than 150 poems is a home run, I do find it quite astonishing how many times one of the poems caused me to pause and ponder. 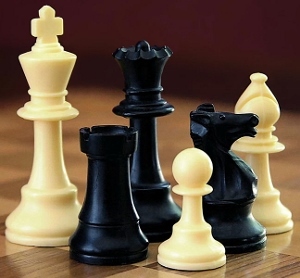 Making it look easy, Collins deftly combines the mundane and the profound, with an inimitably affable and conversational style, whether he’s writing about a missing chess piece or jazz instrumentalist Eric Dolphy. Having read his collections Ballistics (2008) and Horoscopes for the Dead (2010), I had already read some of the poems in this book, but I fully enjoyed them a second time around. Collins’ ability to get so much out of a simple handful of words and just a page or two of print never ceases to amaze me. When a poem entitled The Lanyard is able to bring both tears of joy and sorrow while you’re standing in the kitchen baking chocolate muffins, you know you’re in the presence of something truly special. 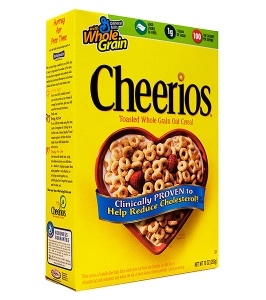 Cheerios will be 73 in May! The selections from Nine Horses (2002) and The Trouble with Poetry (2005) are well chosen, but I was most excited to read the new works and I’m pleased to report that I was not disappointed. Highlights include a hilarious motivational poem to his “favorite 17 year-old daughter”, a meditation on seven decades of Cheerios and The Names, a hauntingly beautiful poem written for victims of the September 11 attacks, which Collins read to a joint session of Congress on the one year anniversary of the crime. 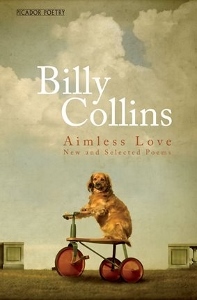 Somehow, Billy Collins keeps writing great poems and Aimless Love provides plenty of evidence. While some critics may find his work too pleasant and popular, I am comfortable with the idea that poetry doesn’t have to be filled with angst or be inaccessible to be considered great “literature”. Once again, five stars for Mr. Collins.